When age starts catching up with you, there are certain normal things that seem like a huge challenge. For instance, even climbing two flights of stairs up to your bedroom may become difficult, or you may find that the bathroom floor tiles are too smooth and slippery and that you need some kind of support that can help steady you on your feet. These may seem like small things, but in many instances, it’s a matter of your safety and this is something you shouldn’t compromise on. Many well-established home improvement contractors provide aging in place services that are especially suited for these kinds of requirements. 314 Design Studio provides excellent home improvement services to customers across Annapolis, Severna Park, Stevensville and. They also cater to customers in and around Arnold, Chester, Cape St Claire and Kent Island. Over the years, they have handled a number of projects for customers in Centreville, Riva, Easton, Chestertown and Mayo. These services are ideal for making your home spaces safer, more comfortable and functional. The aging in place contractors will provide solutions, installations and features that will help you live more safely and independently in your own home, no matter what your age is. If you decide to continue living in your existing home, you would have to make some modifications to the installations; and these allow you more maneuverability and easy access to different areas in your home. The company you hire for the job will work very closely with you to understand which solutions would suit your specific needs. Bathroom spaces see a lot of water and steam and the areas can become extremely dangerous for older people, which can result in slip and fall accidents. Adding shower grab bars and bath grab bars is an excellent way to add to the safety aspect of these spaces. 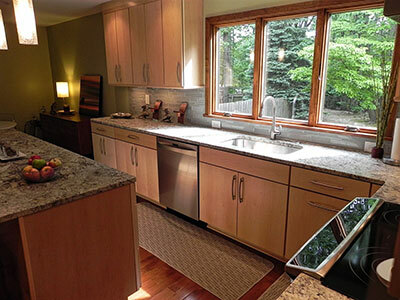 Aside from these, the contractors can reduce the kitchen and bathroom countertop heights; this will give you easier access when you are reaching for something in these spaces. They can also build entire multi-functional master suites if you like, so you don’t have to keep walking up and down stairs to reach the kitchen or living room areas. If you need doorways widened to accommodate a wheelchair, or an internal elevator installed, the company would be able to do that as well. Only an experienced and well-established company would be able to provide you with high grade solutions that are in line with aging in place safety requirements. When you want kitchen spaces that will complement the look of the rest of your home, it’s best to hire experts like the ones at 314 Design Studio. They will provide you customized solutions at pricing that fits perfectly into your budget.